The Orangery was built using the floor plan of Borromini’s famous Baroque church of San Carlo alle Quattro Fontane in Rome. 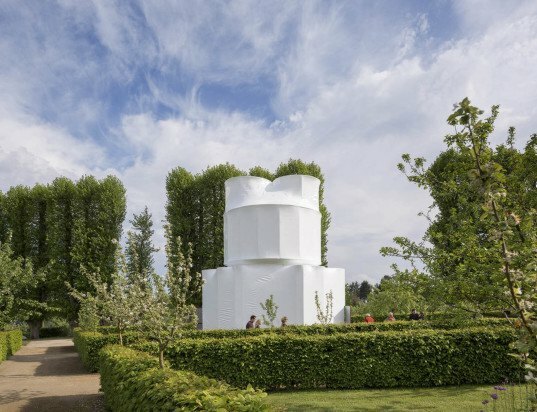 The circular shapes and other geometric shapes were used to design this small pavilion, located on the grounds of GL. Holtegaard art gallery in Sealand, in Northern Denmark. The steel structure is wrapped in a strong white plastic usually used to protect large transportation vehicles. 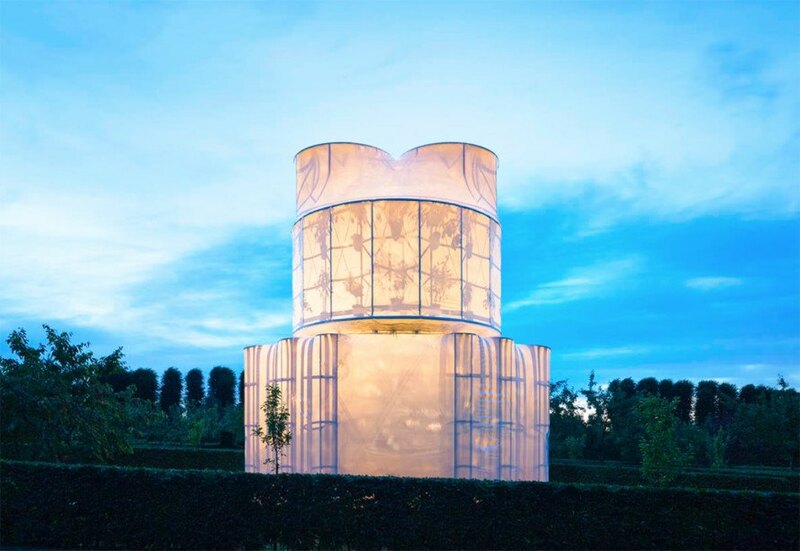 At night, the structure glows like a lantern and dominates the surrounding landscape. The design proves that the most utilitarian structures can be designed as beautiful objects that combine contemporary materials and classic architecture.